Updated for 2019 Dividend Aristocrats List changes. New table format now can scroll right on mobile devices and sort by columns. The S&P Dividend Aristocrats List is a group of companies that have paid and increased dividends for 25 years or more. Income investors favor Dividend Aristocrats because the companies are solid long-term holdings with predictable, safe, and growing dividend payments. Dividend growth is a key metric for income investors to ensure income growth outpaces inflation. Stability and reliability are also important factors so that income streams remain consistent in a retirement portfolio. The table that follows below is a quick ranking system to determine what are the best and most undervalued Dividend Aristocrat stocks to help investors start their investment research process. After the ranking table, be sure to look at my methodology. I call this a quick value rankings list because it’s a first-glance look at the current best value opportunities. Keep in mind, this is in no way a complete way to evaluate a stock. Further research is necessary before buying one of these stocks. Don’t consider this ranking system a recommendation to buy or sell individual stocks. However, use it as a starting point for further due diligence and research. I also make no guarantee of the accuracy of this data. Data is sourced from Yahoo Finance, so it’s as good as they provide it. See the date at the top of the table for the last update. This is not real-time data. The dynamic ranking system below is designed to point out the most undervalued Dividend Aristocrats at a given point in time and are worthy of additional research. I’m currently using a 30-point system to rank the stocks based on my own investment philosophies and objectives. You can attempt to buy the Dividend Aristocrats one at a time or use an ETF like the NOBL. However, I prefer a better method. For buying the Dividend Aristocrats, I’m a big fan of the online broker M1 Finance. With M1 Finance, you can create your own “pie“, a kind of a customized mini-ETF. Then you can buy all the stocks in the pie at once. Every time you add funds to your account, M1 will automatically buy more of each stock. M1 Finance is 100% free. No trading fees or any other commissions. M1 is becoming popular among millennials for its simplicity and excellent design. Part broker, part robo-advisor. It was founded by a 25-year-old Standford grad and is geared toward that generation. Super-slick desktop and mobile usage. S&P maintains the complete eligibility standards of the Dividend Aristocrats list. This list is different than the U.S. Dividend Champions List maintained at Dripinvesting.org. The Dividend Champions List is not bound by membership in the S&P 500 index so smaller companies qualify. In addition, the Champions follow the fiscal year instead of the calendar year. So the S&P 500 rules may not include certain companies with great dividend histories (such as Parker Hannifin) whose streaks are fiscal year based. Many dividend growth investors prefer the Dividend Champions, Challengers, and Contenders (CCC) for its more comprehensive range of companies. But the Dividend Aristocrats are the most famous, so many investors choose to stick with the most well-known list. I’ve chosen to do the same for this exercise to keep the size of the table manageable. The maximum score is 30. These are six valuation measures I use in my own investing. I’m sourcing the data from Yahoo Finance and using Google Sheets to assemble the data and calculate the points. Below you can see the vital data, but I’m calculating the scoring behind the scenes because it doesn’t fit. Basic logical commands calculate the scoring based on the metrics listed after the table. If you have any suggestions for additional metrics, please write them in the comments section. Data that is N/A or unavailable is scored as zero. This data is manually cut and pasted into a table due to Yahoo Finance no longer working for data. See below for an automated technique for importing data into Google Sheets. For those looking for help in selecting the best dividend growth and retirement income stocks, I use and recommend The Sure Dividend Newsletter. The newsletter has a strong focus on Dividend Aristocrats. I’ve been a paid subscriber to this newsletter to supplement my own stock research for the past 2 years. Each month, Sure Dividend recommends its top 10 dividend growth stock picks, plus rankings of 450+ other dividend stocks. Highly recommended. Anyone nearing retirement or already retired may be looking for investment ideas that yield 4%+. Sure Dividend has a specific newsletter for you called the Sure Dividend Retirement Newsletter. This service focuses on safe high-yielding MLPs, BDCs, and high-yield stock investments to help build retirement income. Both services come with a 7-day free trial. Regular price for either service is $89. But click the links above or use the Sure Dividend coupon code “RBD10” for either newsletter to save $10. Please provide any feedback you may have in the comments section or by contacting me. I’m happy to consider other metrics or adjusting the methodology as long as the data is available and it fits into the screen. To learn more about the Dividend Aristocrats, visit the Standard & Poors Indices Website. 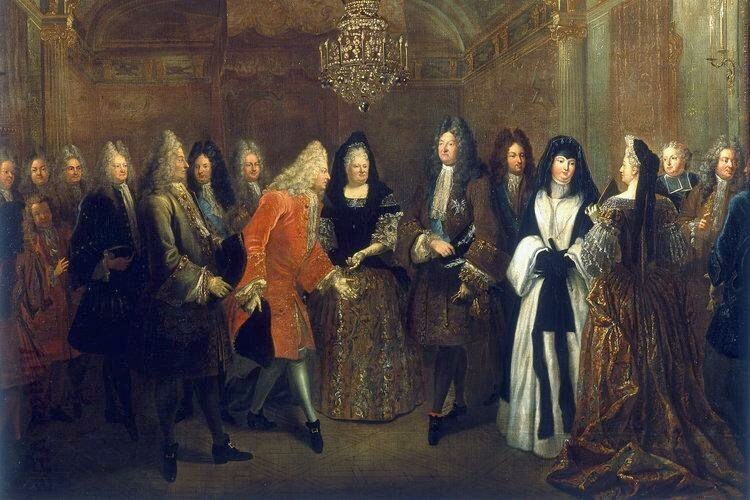 Why Invest in the Dividend Aristocrats? Dividend growth investors pay close attention to a few lists of stocks to help quickly weed out companies without a proven long-term dividend commitment. The most widely used is the S&P Dividend Aristocrats List. Dividend Aristocrats are stocks that are part of the Standard & Poors 500 index and have maintained a continuous dividend payment and growth streak of 25 years or more. They also must meet minimum certain market capitalization and liquidity requirements. 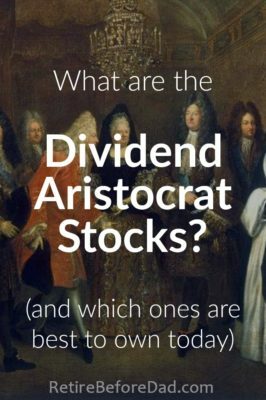 The Dividend Aristocrats are, as their name suggests, an elite group. Today, the list consists of 50 stocks. Some of the more popular members include Chevron (CVX), Proctor & Gamble (PG), AT&T (T), Walmart (WMT), Coca-Cola (KO) and Johnson & Johnson (JNJ). For dividend investors looking for excellent, wide-moat companies with superior business models and rock-solid management over the years, the Dividend Aristocrats List is a candy store. For now, I’ve chosen to focus on the Dividend Aristocrats instead of the U.S. Champions, Challengers and Contenders List (the “CCCs”) over at DripInvesting.org to keep the table more manageable. Though I also use the CCC list, many beginner-to-intermediate investors tend to favor the upper crust of dividend payers. The ranking system is a STARTING POINT for further research. It’s a quick look at the Dividend Aristocrats list, comparable in one table. Don’t just go and buy the top ten, that would be short-sighted. But use it to foster investment ideas and then go off and do your own research on the individual stocks. A high or low ranking through my automated system is not a recommendation to buy or sell any stock. Invest at your own risk! Keep in mind that the data is only as accurate as Yahoo provides it. Yahoo Finance is fairly reliable, but sometimes the table doesn’t update perfectly (or Yahoo’s data is straight up wrong). Also, watch out for anomalies. For example, a stock could receive a “5” rating for a high yield, but the company may have lost the confidence of investors and could be ready to cut the dividend. Add this ranking system to your list of stock research tools. PLEASE NOTE: I’m now using Yahoo Finance data and manually pasting it into the ranker sheet. The previous version used the Yahoo Finance API and Google Sheets to import the data automatically. That method is no longer reliable. For an automated way to track your dividend investing, please visit TwoInvesting.com for their Dividend Stock Spreadsheet template available for free. Their methods to acquire data are the most reliable. However, they are not sufficient enough to maintain the methodology I use on this page. If you see any problems with this Dividend Aristocrats list or ranking system, please contact me.